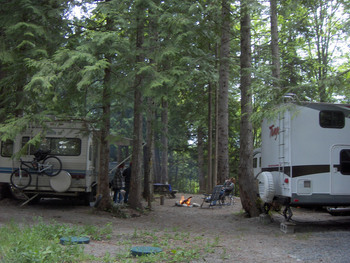 Fully serviced RV Campsites in a family friendly Campground and RV Park. 30 Amp. 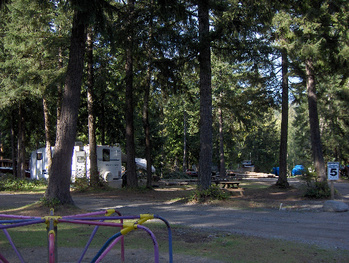 power, water and sewer campsites in a lovely 40 acre campground with river swimming, fishing pond, playground and much more. 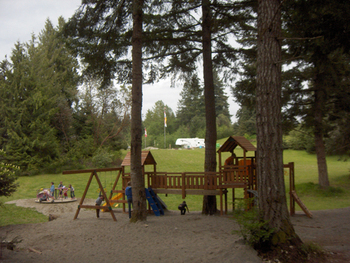 Movies for the kids outdoors on warm summer nights with free popcorn, the smell of campfires and food cooked outdoors, and the sounds of children playing at the tot lot fill the air. Come out and experience The Mountainaire. You're hosts, Ken and Val Brochner, are always happy to answer your questions. 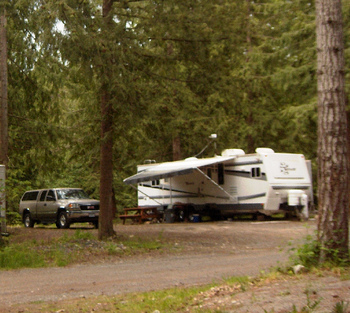 We're open year round, and you can call us anytime from 9:00 AM to 9:00 PM seven days a week. If we can't come to the phone, please, leave a message. We'll get right back to you.